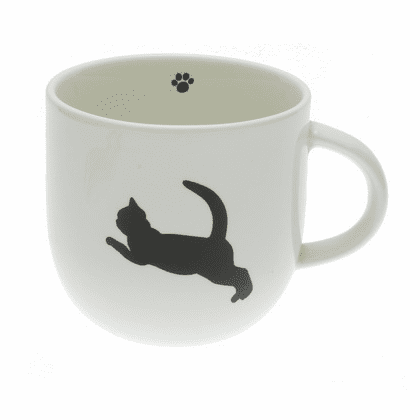 Ceramic coffee/tea mug with jumping cat silhouette design. Has foot prints inside the cup. 3" tall, 2-7/8" in diameter.